Fitness and exercise are a major priority for me. They are part of my daily routine, like brushing my teeth. But, like most routines, this one had grown stale… and predictable. Since I have been challenging myself to take chances and embark on new adventures, thereby stepping decisively outside my comfort zone, I figured this philosophy should apply to my workouts. When I showed up for the first class, I was apprehensive and more than a bit intimidated. I waited outside the large warehouse style studio and watched a packed room of young, extremely fit people jump, run, lunge and lift to the beat of loud, motivating music. The atmosphere was electric! At the end of class, the sweat-drenched participants high-fived each other in celebration. Jenny closed with a stirring, motivational talk, and the crowd dispersed to begin the day in a state of near euphoria. After a quick tour of the facility and a brief demonstration of the day’s circuit exercises, I was ready. Then, I quickly realized that I was the oldest one in the class– by at least 15 years. I also soon learned that the class was in week six of a six-week program. Everyone else had begun in week one. Nonetheless, I had committed to try this class, and remained undaunted. I resolved to get a great workout, make new friends, and, most importantly, have fun. I started out on the treadmill at a brisk walking pace, then progressed to a slow jog. By the final “sprint,” I was full-out running like I was in my 20’s again, when I did weekend races for fun. Next up was a circuit of bench presses, side lunges, kettle ball squats and push-ups, interspersed with planks and crunches. During each set, I tried to focus on my own body, instead of on the young, tight bodies that surrounded me. Her message resonated with me, especially because of where I am in my life. Yes, I am– and will always be– someone’s daughter, wife, sister, friend and mother. But now it is time for me to be the driver, and not the passenger, in my life. This entails letting go of all the pictures and expectations that I have been trying to live up to. It means living in the moment, and not worrying about what others might think or say, or what might happen if I make a certain choice or decision. And, ultimately, it means letting go of my self-image as a fifty-something mom who is older and less fit than everyone else in an exercise class. It means recognizing that I am smart enough and capable enough of re-entering the work force and pursuing a new career that I am passionate about. It means I am free to discover my real purpose in life and to be the person I choose to be. 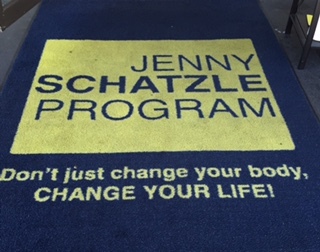 Thank goodness I am in the driver’s seat, because after Jenny’s class I am too sore to walk! There’s something about beach glass that harkens back to the simple happiness of childhood… fond memories of sun drenched hours playing on the beach… running back and forth to the water to cool off… building sand castles… collecting seashells and continually searching for the perfect piece of beach class… without any cares in the world. 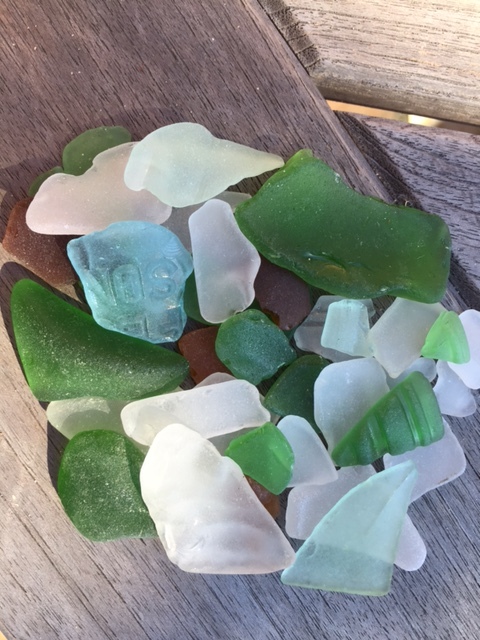 Each piece of beach glass is unique… the surface rubbed silky smooth, from years spent churning in the wild seas… how fortunate we are that these beautiful bits of history have washed up on our shores… the color palate is soft and subdued… dark green, brown, clear, and occasionally, a rare piece of turquoise. Something catches my eye in the sand below. I look down at my feet and smile with childlike euphoria… it is a piece of the elusive turquoise blue beach glass. I am instantly transported back to my childhood. I pick up this rare treasure and celebrate. Pure, unadulterated joy. I grew up in a household ruled by my Dad’s philosophy that sleep was overrated and, essentially, a waste of time. We were always encouraged to be active, not lazy, and never to put off until tomorrow things we could do today. I have consistently lived my life in this fully engaged, procrastination-free zone, and it has been fun, though, admittedly, sometimes exhausting. I don’t think I’ve really slept well– by that I mean more than six hours a night– in years. 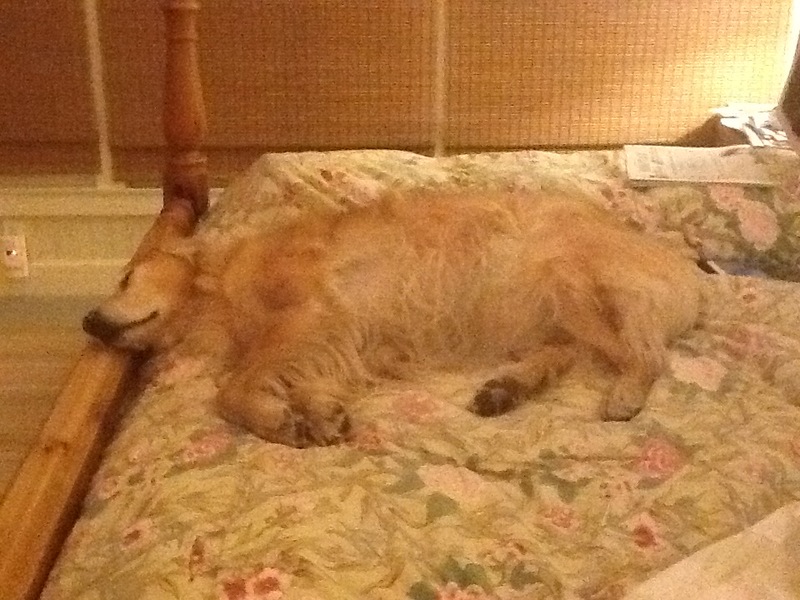 And even if I’m in bed for six hours, I rarely sleep through the nights, during which I am typically battling a small bladder, menopause-related insomnia, and competing for mattress space with at least one 80-pound golden retriever. (I am, however, an excellent car and airplane napper.) I’ve always thought that sleep deprivation was a badge of honor, signifying to the world– and to myself– that I’m accomplishing so much that I couldn’t possibly sacrifice such heightened productivity for increased sleep. Despite staying up very late occasionally (on New Year’s eve or for special occasions), I would still awake at dawn. Even as a teenager and college student, I don’t remember sleeping until mid-afternoon the way today’s young people (and my own children) do. When I became a parent, my sleeping habits declined precipitously. By nature a worrier, I would find myself waking up during the night, rehashing my son’s baseball team’s defeat or thinking about my daughter’s upcoming soccer tournament. I would worry about injuries and illnesses as my children endured them. When they were in high school, I stressed over deadlines for big homework assignments, SAT preparation, and especially college applications, campus visits and then admissions decisions. And I wasn’t even the one doing the work– I was worrying for my children and all the pressures placed on them by today’s world. I knew these late night worries were unproductive, but I was powerless to stop them. And I am certain that all this undue stress and worry cost me hundreds of hours of sleep. Given this backdrop, I didn’t think I was physically capable of sleeping more than six restless hours. Until now. While I still think about my children and want them to be happy always, my worries about them are no longer front and center, primarily because they are no longer living under my roof. I would probably not approve of everything they are doing in college, but what I don’t know about, I cannot worry about. Fast forward to last night. I was exhausted and kept dozing off during an episode of House of Cards (hint: if you’re dozing off during House of Cards, it is time to go to bed!) So, very uncharacteristically, at 9 p.m. I turned off the light and went to sleep (my husband continued watching House of Cards without me.) I slept uninterrupted until 5:30 a.m., then dozed another hour until 6:30. This was a first for me: 8-1/2 hours of continuous sleep for the first time in years– probably since becoming a parent nearly 21 years ago. How great it felt to awaken for once feeling rested and refreshed!